After a long and protracted debate, Bitcoin will almost certainly start enforcing a software update, known as Segregated Witness (SegWit), in August. This is a significant development for Bitcoin. The version of SegWit that was approved by the majority of miners — those who run the computer systems that process Bitcoin transactions, and in return are awarded Bitcoins — is called BIP 91, and contains code which Bitcoin advocates believe is not in the best interests of the Bitcoin community. One of the most controversial inclusions is the increase of the blocksize to 2 Megabytes — a technical change that the host of the Bitcoin Knowledge Postcast Trace Mayer explained the significance of in an interview with The Epoch Times. This is the second part of Mayer’s interview with The Epoch Times; see here for the first part. Epoch Times: What is the problem with BIP 91? Does it include code to increase the blocksize, and what does that mean? 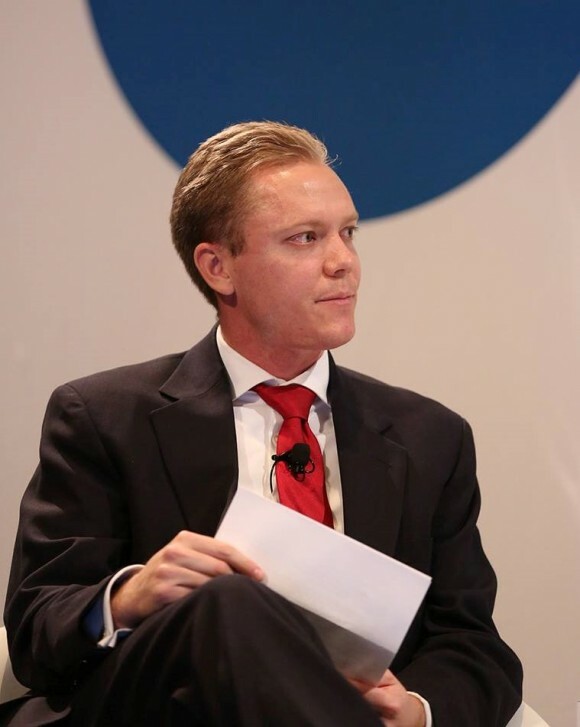 Trace Mayer: The miners are trying to put some code together very hastily without much testing, with no peer review in a closed source repository. They’re trying to put stuff in there that they’ve been arguing about in the debate for a long time. I think it’s primarily a way for these Chinese miners to attempt to save some face and feel they matter and they are important. It does involve some type of a hard fork, but good luck with that. You take new territory on a slow and incremental and organic basis with Bitcoin. You don’t try to take Africa all at once. SegWit’s gets activated, new territory is being taken. Then there will be consolidation, reinforcements, and then the community as a whole can approach whether they want to take more territory or not. And I don’t think this 2x part, increasing the block size, of the New York agreement will get much traction at all. Most of the legendary Bitcoin developers are laughing at the 2x part. They just don’t take it seriously. The problem with the miners is they don’t have any good developers. All the legends in the internet space are working on Bitcoin core. People like Bram Cohen, the inventor of BitTorrent; Adam Back, he’s cited in the Bitcoin white paper and in the TOR white paper; Greg Maxwell, Pieter Wuille, who wrote SegWit. These are the people who have been the guardians of Bitcoin since it came out with Satoshi Nakamoto. And the miners think that they’re going to fire this developer team who are all volunteers? Miners can’t fire anybody. The people who hire and fire are the people who hold Bitcoin and who use Bitcoin. The way they determine who they’re going to hire or fire is based on what software they run. And 99.1 percent of the people who interact with the Bitcoin network use the Bitcoin core software because it’s the safest, the most reliable, the most secure. It’s been subjected to brutally honest peer review with open source software. Miners can’t force anybody to run different software. It’s a decentralized, distributed network that’s open source. There’s nobody forcing anybody to do anything. If anybody is exerting any power in the situation, it’s the consumers who decide who they’re going to pay for what work gets done. Epoch Times: What are the benefits and drawbacks of increasing the block size? Mr. Mayer: There’s no need to. We’ll have SegWit, we’ll start implementing it, we’ll have malleability fixes, we can work on stuff like the lightning network. Why are we going to devote our time and attention to coordinating and testing a hard-fork? I mean, with Segregated Witness tens of millions of dollars of developer hours have been spent on this. You know, probably hundreds of millions of dollars of community time and attention that’s been spent on this. It’s been a hugely pure peer reviewed. The miners would benefit from SegWit 2x but the excavation equipment that they have, there’s been a computer arms race with these application-specific integrated circuits, which specifically mine a particular algorithm that Bitcoin enforces in their proof of work. Once we reach that level, where you can’t build faster computers, it changes the economics and the game theory because now the mining becomes purely commoditized, instead of somebody having a competitive advantage. So the people who have invested hundreds of millions of dollars see that their competitive advantage is becoming obsolete and that it can’t be replaced with anything. They’re going to become completely commoditized, and that of course, is not good for their earnings. So they want to prolong their advantage as long as possible by increasing the block size. They’re willing to hold the upgrade of the entire community and the protocol for their own selfish short-term advantage. That’s why they want to raise the block size which, according to some studies, showed that it will decrease the number of nodes by large percentages — up to 85 percent. It would reduce the number of nodes by 85 percent because of the increase in storage costs and bandwidth. Processing ability, computational ability, all that stuff and that’s strikes at the heart of Bitcoin’s decentralization which is the primary value proposition. But if you’re a miner, you do want the block size to be as big as possible because then it becomes more expensive for competitors to mine. This is why I think the 2x part, it’s just not going to get very much attraction at all because it’s not in the best interest of anybody but the miners. Epoch Times: Aren’t the miners just service providers for the users? Mr. Mayer: The work they do has value because individuals and users of Bitcoin place value on that work. If miners do work that users do not value, then miners will lose a lot of money in the process. And then they won’t be miners anymore because they’ll go bankrupt. But these miners think they can control Bitcoin in a top-down, authoritarian manner, because the work they do provides value either way. What they’ve found is that the more they try to squeeze their grip on the Bitcoin community, the more they’re just grasping at air. Then hundreds of millions of dollars of specialized equipment that miners have bought, you know, the proverbial excavation machines and all this stuff becomes worthless overnight for performing the type of work that users and consumers now demand which is swimming laps in the pool. So people who are good at digging holes, getting the block rewards and earning the money, instead it’s the Michael Phelpses who would then be earning the money. It would require a whole different specialized skill set in order to have that comparative advantage. That’s a way that the users and the consumers fire all the miners and have new miners. Similar to “I don’t like this restaurant that’s cooking dog and rat. I want a restaurant that cooks buffalo and beef.” And so you just take your purchasing power somewhere else. And there will be another restaurant that will figure out how to serve you your beef and buffalo, especially if you’re gonna pay a lot of money for it. Because there’s a lot of profit to be made doing it.